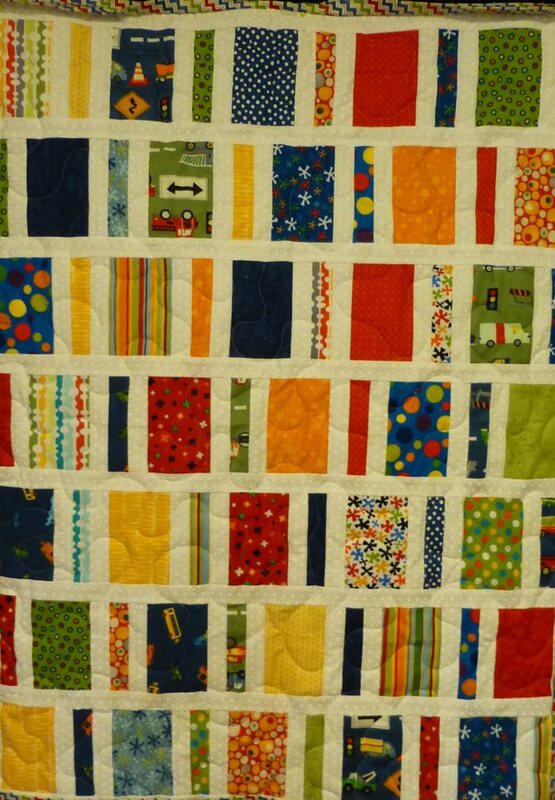 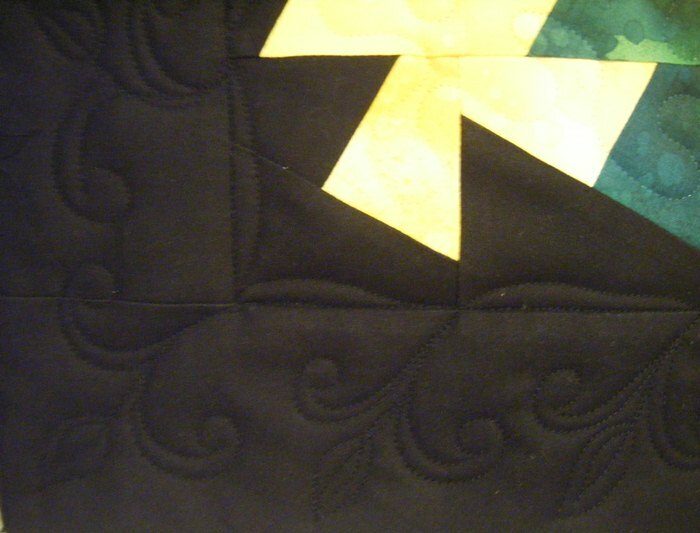 This quilt is a personal pattern by the maker and features the initial of her granddaughter’s first name. 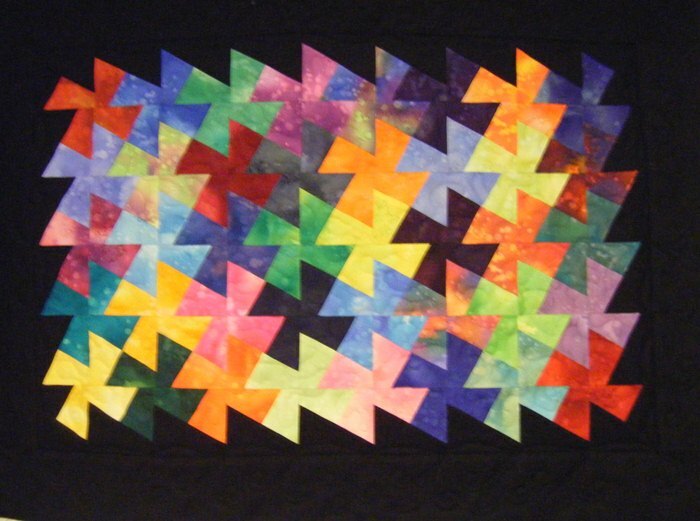 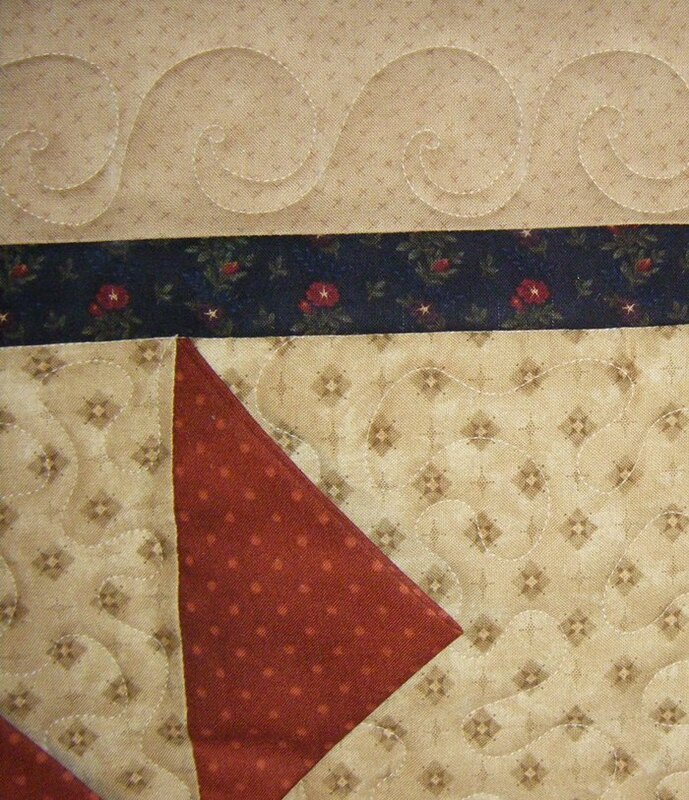 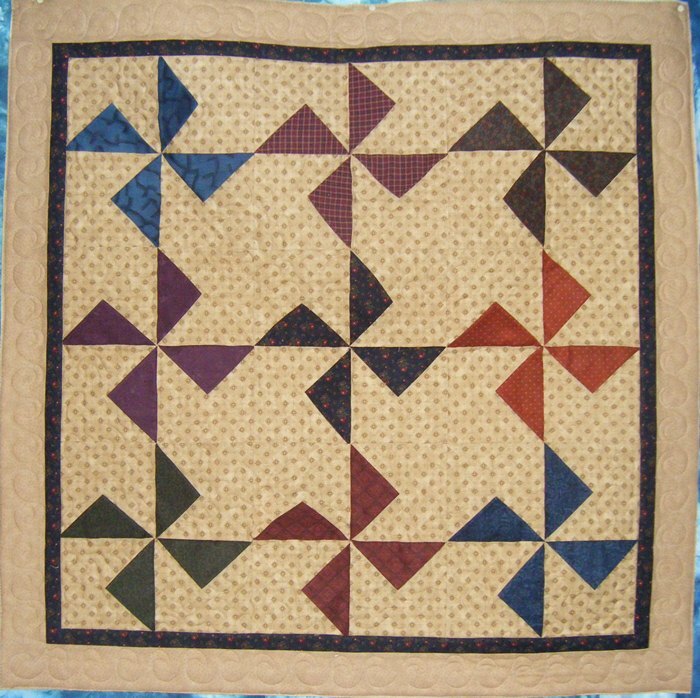 This quilt has some personal attachments so I was honored to quilt this for C.
C was interested in having her quilt finished and finished quickly so chose a medium meander for the quilting. 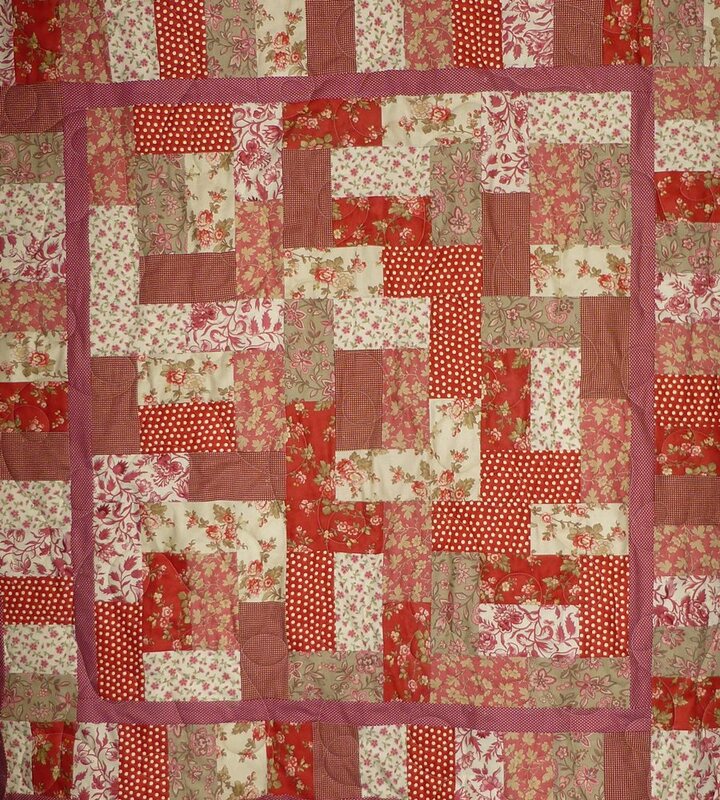 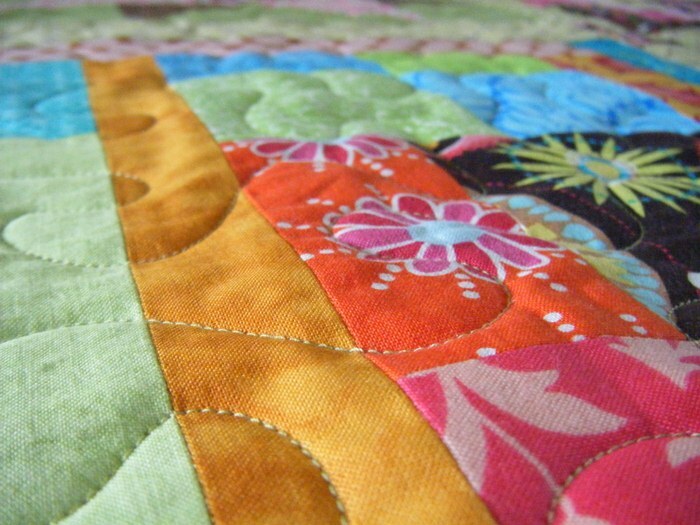 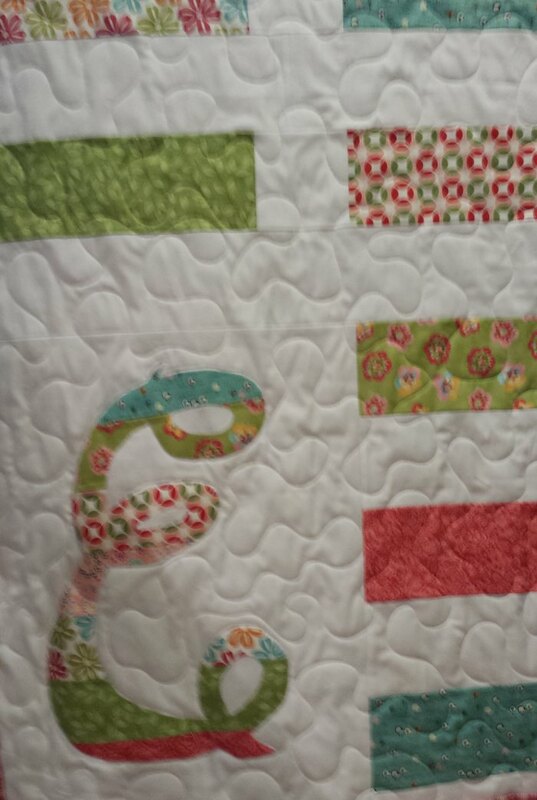 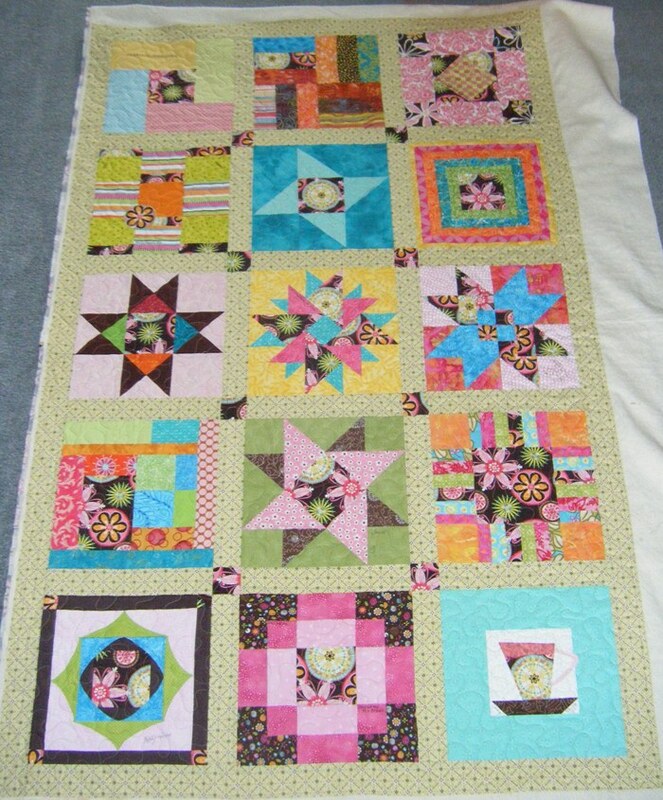 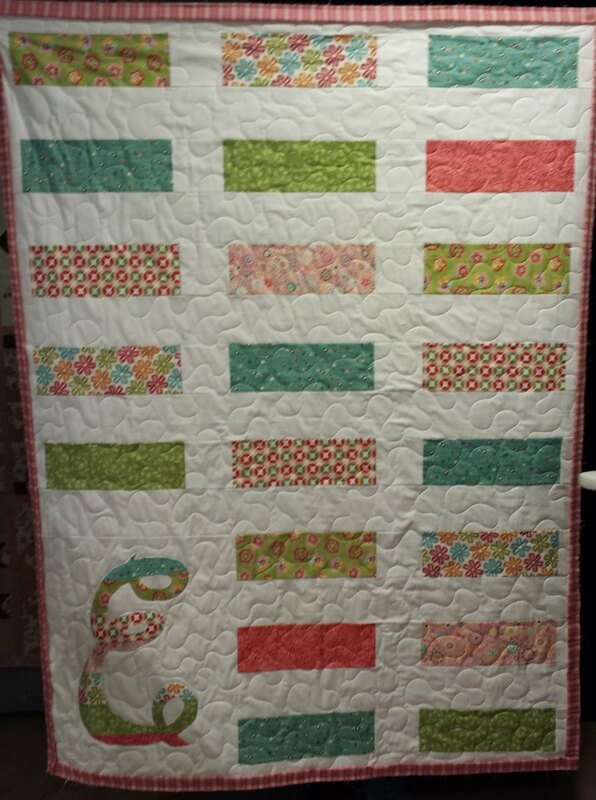 I used a variegated light green thread which blended well with all the blocks and especially with her sashing & border.